A good bottle warmer is a safe, convenient way of heating your baby’s milk to just the way they like it. 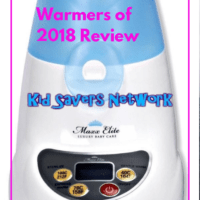 On this page, you’ll find the best bottle warmer reviews for 2019. We also highlight the features you should really look out for. Do I really Need a Milk Warmer? What is the Best Bottle Warmer? Do you really need a milk warmer? After all, our parents and grandparents’ generation got by warming bottles in a jug of hot water. For babies who aren’t fussy, formula mixed with room-temperature water or even cold milk could well be o.k. So why do so many parents buy or add these products to their baby registry? Well, they’re quick, convenient and safe. Bottle warmers also heat the milk more consistently without guesswork. Too much heat can remove a lot of the beneficial nutrients from breast milk. If your baby is crying for their feed in the middle of the night, a bottle warmer is usually much, much faster and more convenient. That is when they really start earning their keep. 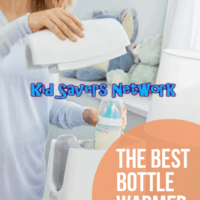 There’s a lot of different brands and models vying for the title of “The Best Bottle Warmer”. If you read many reviews, you’ll see no particular one is the best. Safe – Warmers shouldn’t leak, break down or catch fire! Easy-to-operate – Think one eye open, one-handed at 3 am! 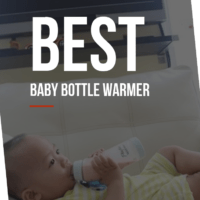 Universal – A universal bottle warmer which heats different brands & sizes is a winner! Using the above guidelines, we reviewed 5 of the best bottle warmers on the market in 2019. Take a look and hopefully you’ll grab a bargain! The Born Free Tru Temp belongs in the “Premium Range” of milk warmers. But just what exactly are we getting for the extra money? Well, the feature I like best is the attached cooler. This allows two bottles of milk to be kept chilled for up to 8 hours. So you won’t need to go down to the fridge in the middle of the night. One of the biggest complaints around bottle warmers is parents having to precisely measure water out in the middle of the night! The Born Free warmer has a water reservoir which only needs to be filled once or twice a day. So no more bleary-eyed trial-and-error! 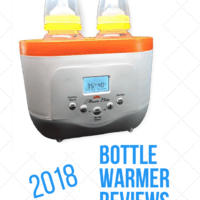 Another great feature of this warmer is it’s easy to use different sizes of bottles with it. Many other models tell you to consult the instructions to figure out the warming time. With the Born Free, the settings are printed on the back of the unit and then you just dial it in. This saves a lot of time and hassle. It is odd that a bottle warmer for this price doesn’t have an audible alarm. However, there is a countdown timer and flashing light to let you know when it’s ready. There’s a green light when the cycle is finished, but no audible alarm like on some other brands. Around twice as much as others on our list. Dr Brown’s bottles are beloved by many. This model has a strong claim to being the best bottle warmer of 2019. It has a few unique features that other warmers don’t have. The pick-of-the bunch is the water reservoir. This allows for several bottles to be warmed before you need to add water again. This is a real time saver and every second counts with a crying baby. The memory-function also is a great time saver. It remembers your last settings so you don’t have to. Perfect at 3am! Dr Brown’s warmer is quick, takes all bottles and is very easy to use. The countdown timer is a good addition. The blue LCD light can be seen from a distance so you don’t need to stand over it. Lastly, it’s perfect for twins. The warmer doesn’t need to cool down for a few minutes after each cycle. This means you can do a couple of bottles consecutively and save a lot of time. So, if you’re in the market for an inexpensive double bottle warmer, check out the price for Dr Brown’s. Many parents have noted the water reservoir is difficult to clean. Mold could build up after time, but the reservoir is not in contact with the milk at all. A helpful tip is to fill the reservoir with vinegar and hot water. Let it soak for a while then shake, drain the water and rinse. If there’s some residue left, you can add salt or rice to the reservoir and shake. This will help work as an abrasive. It should remove any determined residue left after the vinegar. Looking for something that can be useful for more than a few months? This Maxx Elite bottle warmer could well be what you’re looking for. It’s a “3 in 1”, so you get a bottle warmer, sterilizer and a baby food heater in one appliance. The digital programmable features really set this model apart. There are standard pre-set temperatures which you can adjust manually to get the ideal temperature. The programmable feature lets you set a timer for 30 minutes to 3 hours in the future. You can also program it to sterilize a bottle. This means it’s ready to use after you wake up or come home. This is a great feature once your baby settles into a schedule. Probably the best feature is that the Maxx Elite can maintain a constant temperature. If you heat a bottle and get sidetracked, it will be kept warm until the water runs out. Then it will automatically shut down. You can check the latest price of the Maxx Elite here. Auto Shut-Off – Shuts off if the water gets too hot or there is no water. AVENT is a well-loved brand among parents, and their products are considered safe and reliable. Their “Fast Bottle Warmer” doesn’t seem to suffer from the design flaws (i.e breaking down, leaks, catching fire!) reported with lesser models. 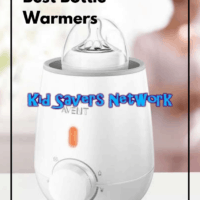 Parents love how this warmer is compatible with all AVENT bottles, toddler cups and most food jars. In fact, most sized bottles will be fine, from slim Dr. Brown’s bottles to the wider Tomee Tipee ones. 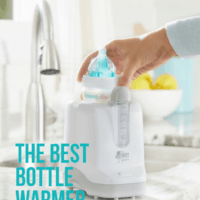 Where this AVENT model really shines is defrosting frozen breast milk quickly and consistently. It’s special defrost function ensures that there are no hot spots like with a microwave. 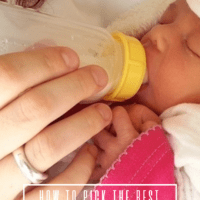 If you’ve tried to feed uneven milk to a reluctant baby before, you’ll really appreciate this! It’s also very user-friendly, just switch the warmer on, add water and turn the dial and that’s it. I was quite surprised to see that this bottle warmer does not have an automatic shut-down or timer. This means it will continue to cycle until the water reservoir runs out. Having something like a stopwatch or an egg-timer on hand to keep track of the time is a good idea. No automatic shut-down and no audio alarm to tell you it’s finished. It continues to warm the milk until the water runs out. There’s no helpful LCD screen telling you where you are in the cycle or how long is left. No pre-set functions, either. 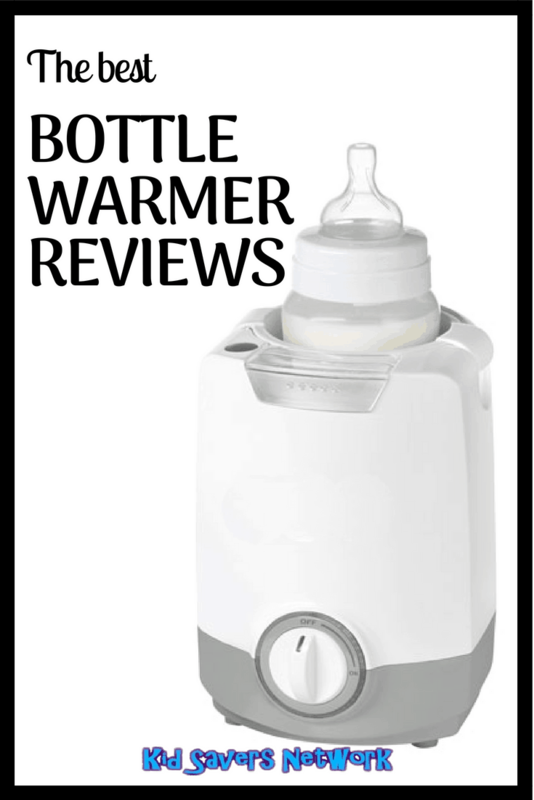 The first Years bottle warmer is one of the best-selling warmers on the market today. A lot of this is due to the fact it can warm any brand or size of bottle fast. It has a heating time of under 5 minutes for standard-size bottles. That’s a full 3 minutes faster than other warmers out there! Parents also love that it has an auto shut-off. You don’t need to constantly stand over the warmer and wait. When it’s ready, a light comes on which you can see from across a room. Its small size means it saves space and you can travel with it. The perfect design for taking to visit friends, relatives or on vacation. For its low price, this makes a great travel bottle warmer. Easy – Just put the water in and turn it on! Universal – Universal bottler warmer – and brand or size is o.k! Portable – Small size makes it perfect to travel with. Quick – Heats up bottles 3 minutes faster than many others. Inexpensive – Around ½ the price of other warmers. You need to know there’s no water reservoir. This means you’ll need to use the included measuring chart for different sized bottles. It takes a bit of trial and error to measure the right amount of water. For the budget price, I think this is an acceptable trade-off.